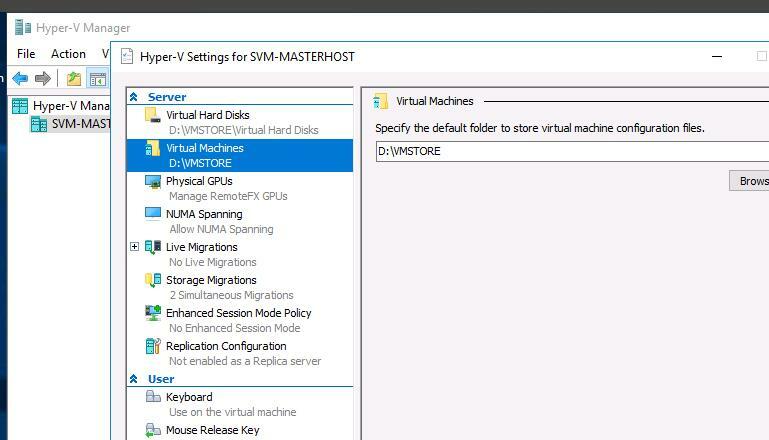 To force stop/restart this VM without the restart of the whole host server, you have to end the process of this VM. To do it, you need get the GUID of the virtual machine. Open Hyper-V Settings of Hyper-V Manager. In Server section, the location of the VM config files is shown (in our case it is D:\VMStore). Go to this directory and locate the folder with the same name as your virtual machine has. Remember the GUID specified in the name of the VM configuration files name. 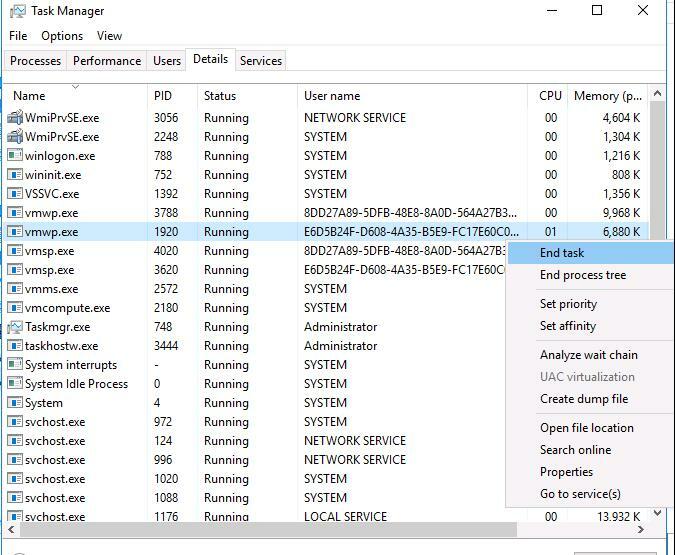 Start Task Manager and go to Details tab. All virtual machines are running in their own instance of vmwp.exe. To determine which process is responsible for your VM, you need the GUID of the hung-up VM you obtained earlier. Find the process vmwp.exe with this GUID shown in User name column. End this process (End Task). The virtual machine will be stopped. Now you can do anything with it. But! It’s much easier to find and end the process of the hung-up virtual machine using PowerShell. In this case, we’ll need only its name. This is the way to easily forcefully terminate the working process of a hung-up Hyper-V virtual machine. Tip. We also have the description of the same procedure to kill the process of the hung-up VM on VMWare ESXi. 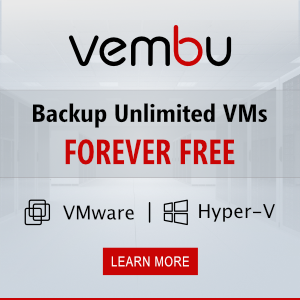 It’s easy to kill VM but it doesn’t start anymore if you do this. You have to restart host. I tried to kill the VM this way and it said access denied, even though I was logged in as the administrator! Ensure that your account is a member of the local group Hyper-V administrators and you have started elevated PoSh console. 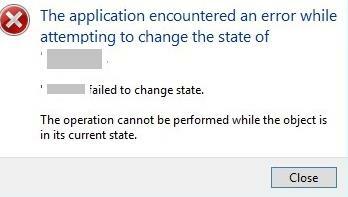 Never had luck with this on Server 2012r2. I always end up rebooting the host to fix the issue. If Its Windows 10 pro Test environment machines , Just remove the feature restart host system and add Hyper v feature again your VM will be showing in saved state just Add Virtual switch and add to the VMs for those you were facing problem in startup.Now delete the save state and start the VM you will get your machine ready.